Use an Arduino to set up a Christmas light show in sync with music. 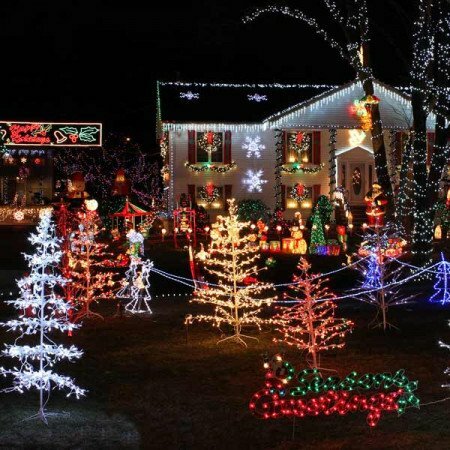 This project will teach you how to sync your Christmas lights to music. You can use the same technique to control stage lights and fog machines (that don’t have DMX) with a computer to achieve wonderful synchronization for performances on stage, which is not always possible with manual lighting control consoles. During last year’s holidays, I was watching videos of Christmas songs on YouTube, and the video above of Christmas lights flashing to the music caught my eye. So I decided to make my own Christmas light show with Arduino. I was wondering how I would sync the lights with a song and send data in sync with a song. 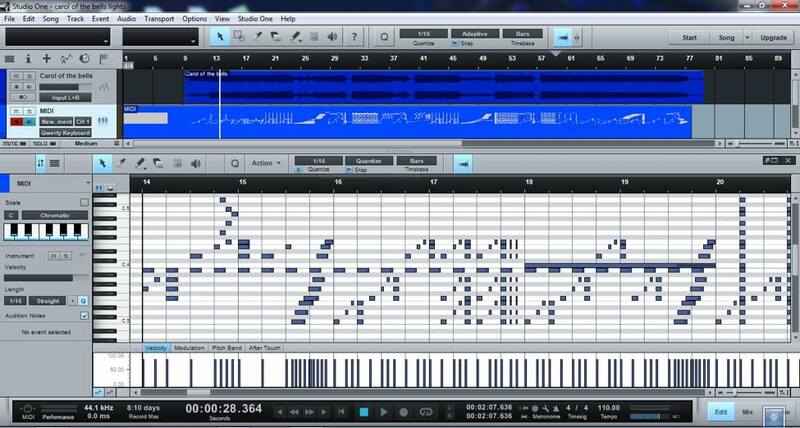 I got the idea to use MIDI signals when I was working with a song using sound editing software. I hacked the MIDI signals from the software (which was in sync with a song) and turned them into light control data. 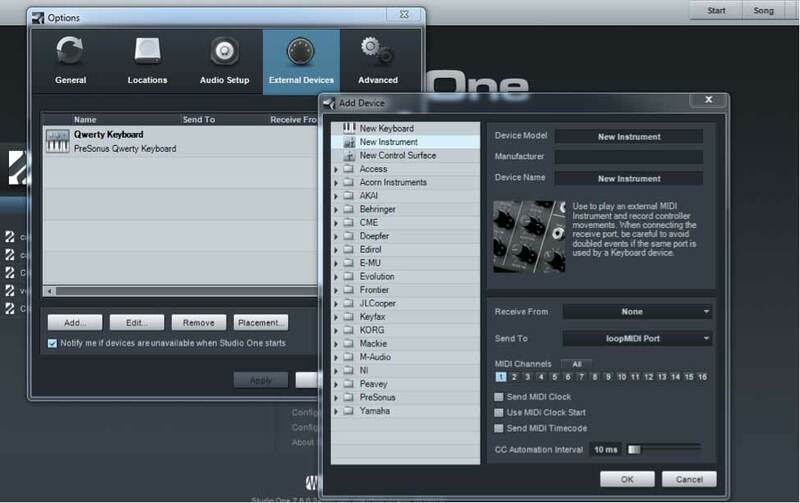 Above is a screenshot of Studio One DAW software (digital audio workstation software) that I used for this project. The MIDI track in the DAW software is in sync with a song. I turned the notes from C3 to E6 (excluding sharp notes) on and off in the MIDI track to control the lights. I used Hairless MIDI to serial bridge to send the MIDI signals to the Arduino and programmed it to turn specific relays on and off according to the notes received. Now the DAW software controls the lights according to the song’s rhythm. I did not use sharp notes (the black keys) because, if you have a real MIDI keyboard, you can program the lights with it. You can play a Glissando and control all the lights! The lights are connected to the relays on the relay boards. The three 74HC595s are used to control the relays. Three bytes are used to store the light states in the program (on/off). The music software sends out the MIDI data, which is received by the Arduino and sets the corresponding bit of one of the three bytes to 0 or 1. The three bytes are shifted out of the registers and then are latched on so the relays turn on/off. After all the bytes are sent and the process is finished, they are latched, which prevents the relays from turning on/off while shifting the data. 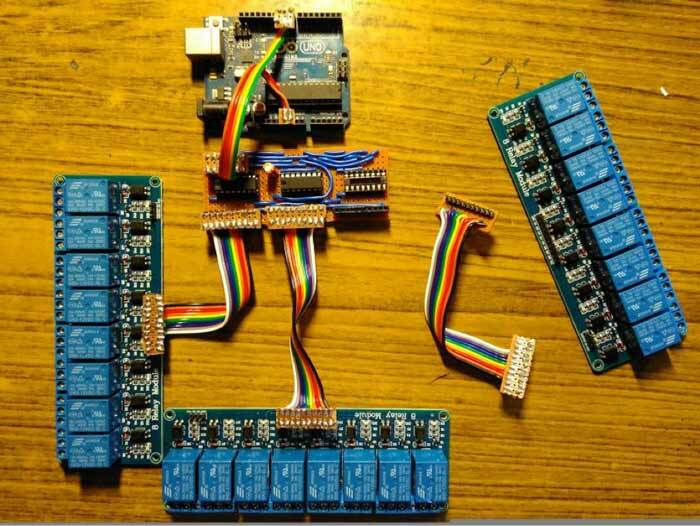 Now get ready to build your own Christmas light show with Arduino! Set up the circuit as shown in the diagram and connect an external relay power source. Remove the jumper in most relay boards. Since it is not recommended to draw the power needed for working on relays from the Arduino board. PLEASE NOTE: If you are powering the relay board with 12V, make sure that there is no connection (by accident) between the external relay board Vcc (12V) and the 5V on the relay board (remove the jumper seen in most relay boards). If there is any connection, it can destroy the Arduino and ICs. Install Studio One (or any DAW software). I used Studio One 2 Free. Most of the features work in the free version. Install loopMIDI for creating a virtual MIDI port. Run loopMIDI and start a virtual MIDI port. Set up the loopMIDI port as a new instrument in the DAW software. 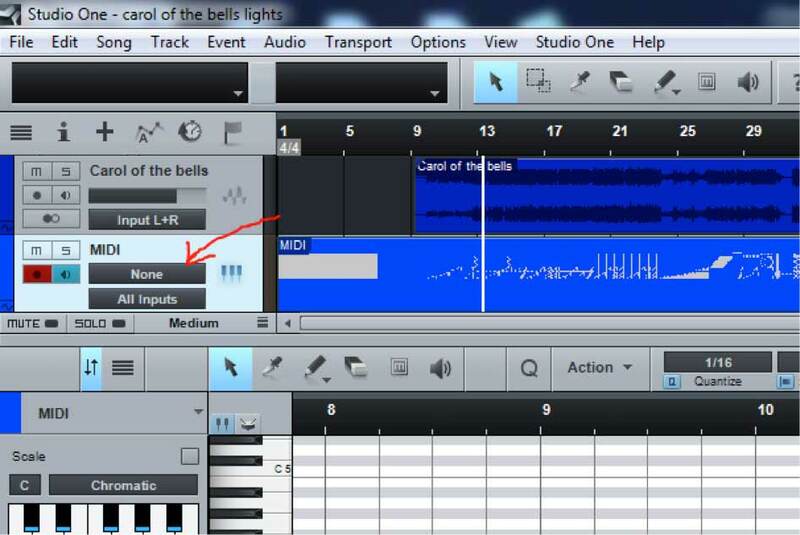 Open this file for the song "Carol of the Bells", click the area shown below and select New Instrument. If you are not using Studio One, you can start a new song, create a MIDI track, and send its output to the newly created instrument. Download the Christmas light show code, or copy and paste it from below. * from his channel ListenToOurLights (http://www.youtube.com/user/listentoourlights). Also, make a notes_bits.h file. Copy and paste the code below to it or download it from here. * with the below function. * of lights is from C3 to E6. * So this function will return '1'. * Similarly, '2' is returned for D3(note 64), etc. 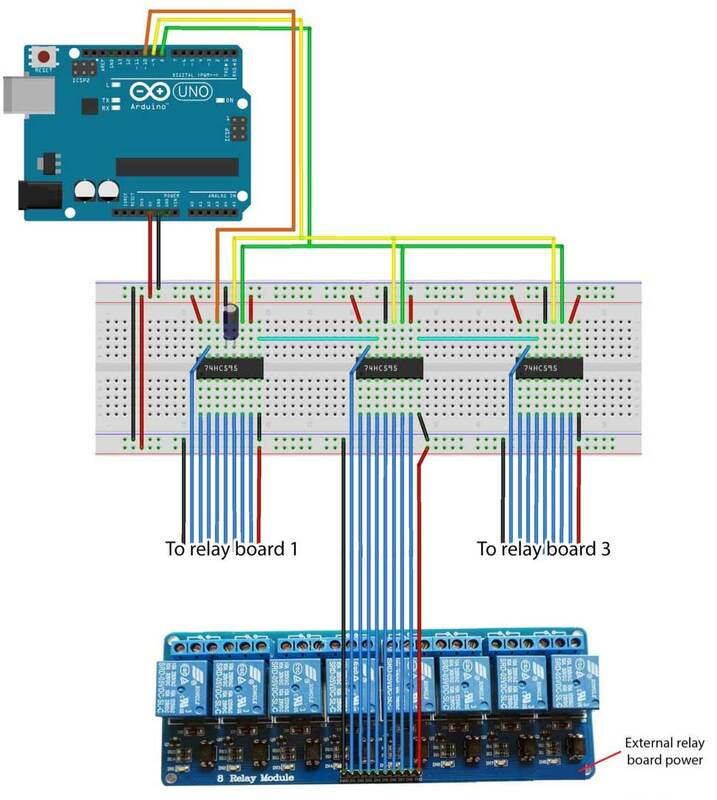 Connect the lights and power to the relay board and connect the Arduino to your computer. Then open Hairless Serial to MIDI bridge and select the Arduino port as the serial port and MIDI in port as loopMIDI. Then, go to File > Preferences > Set the Baud rate to 38400 > OK.
We have to change the baud rate because we need it to be higher than the MIDI’s baud rate, which is 31250. If the baud rate is below that, we will have a noticeable delay in the lights. 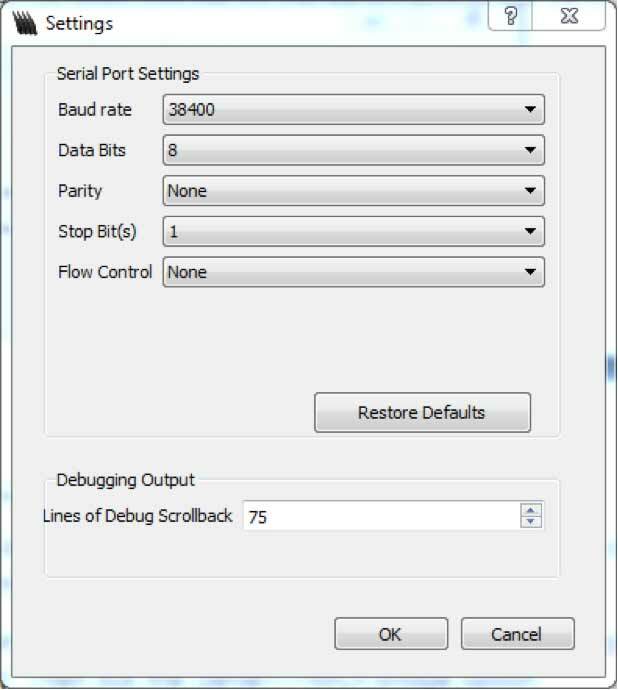 Then tick the Serial<->MIDI bridge option. Go back to Studio One and play the song. You should see the Green LED in Hairless Serial to MIDI bridge blinking. If that is there, then your relays should also work. Now you will see your light show in sync with the song! You can do the circuit on a line or dot PCB. I did it on a line PCB. This is how it looked after connecting everything. This project was inspired by a YouTube video by John Storms from his channel ListenToOurLights. Thank you, John!